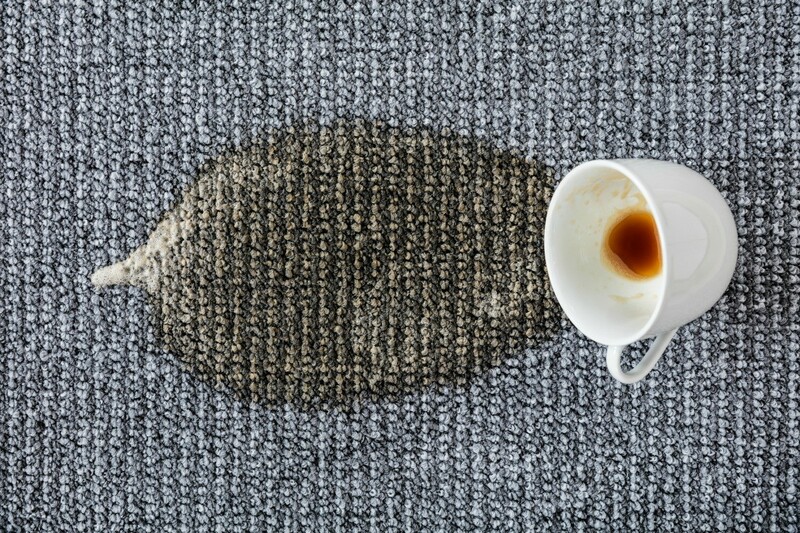 Coffee can leave a brown spot when it is spilled on fabric. There are a few cleaners, as well as, water, baking soda, and salt that can help remove it. This is a guide about removing a coffee stain on upholstery. My puppy just knocked over a full cup of coffee onto my newly covered couch. It's all over the arm and one of the seat cushions. I blotted it and poured tonic water on it (we didn't have club soda) and blotted it up again. I've tried to put pressure to whick it up, but since it's on the arm, it's not a flat surface. It's still wet, so I'm not sure what it's going to look like when it dries. Any tips? You can remove coffee stains and so many others with a simple product found at dollar general, dollar tree or family dollar. It is 1.00 a spray bottle and is kept by the carpet cleaners. all you have to do is spray it let it sit about 10 min or less and take a damp sponge and dap it, stain is gone, i use it all the time, wish you could buy it in the gallon bottles. If the stain's still wet, sprinkle it with table salt .. it'll absorb the stain. Let dry and brush or vacuum it off. If dry, try a paste of baking soda and water .. brush it in gently with an old toothbrush and vacuum away. I would test the baking soda on a hidden part of the couch just to be sure first! If the covers are not removeable, dilute some oxyclean in water (either hot or cold depending on what is best suited for the fabric) and blot the mixture onto the stain. Let it sit for a while, follow it up with clean water. Alternate between the two steps until stain fades. Use OxyKick by Bissel---you can buy it at WalMart in the carpet shampoo area near the vacuums. Great also on car upholstery!! It is 2 slim silver canisters together with a purple sprayer on top and costs a bit over 5 bucks--works better than even Resolve Carpet Cleaner. Get an extra one to keep on hand. I have a recliner that has several set-in coffee stains. How can I remove them? Mix one tablespoon of liquid dish soap, one tablespoon of white vinegar and two cups of warm water. Apply gently with a sponge, blotting frequently with a dry white cloth. 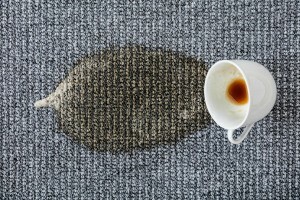 How do you get coffee stains out of light colored upholstery? I sure could use some help on this one. only works under one condition. if it's left on for a couple of hours (or less). Now here's the condition that bottled water will work. The fabric cannot be previously treated with (tap water or soap). water, and those will set the stain into most fabrics *fibers*. So next time, once a stain from something gets onto fabric, (bottled water) or reverse osmosis water applied on it - will remove it. No soap is even needed. Just blot up with a paper towel. Soaps too are basically something that causes a loosening of substances, breaking them apart so the soiled area lifts. But, the chemicals those contain, and then used on certain fabrics - can actually cause a deposit of the substances color to remain in the fibers of the fabric too. That's why "nothing but bottled water - pure water" has the capacity to break apart molecules, allowing the substance spilled to be removed along with it's pigments/coloring, and then blotted right up after it's been saturated with the pure water. Try it on any stain (that has not been pre-treated with soap or tap water). You'll see, it's quite impressive.